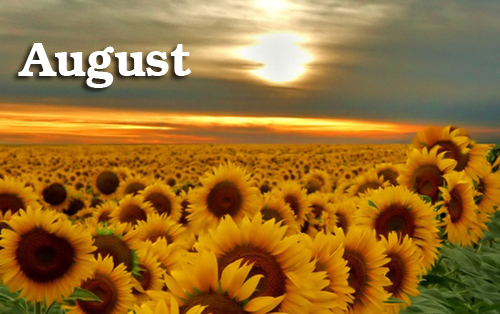 August is the month, every year, that finds so many of us out working in our yards and garden areas. Some of that work is fun and some is pain, but all of it can be enjoyed! The garden is one of the few places left where no matter how hard you work or how much you don't it always pays off with beautiful flowers, vegetables and more. Now is the time to enjoy cut flowers. An abundance of flowers is one of the joys of summer. If you don't have a cutting garden, visit your local farmers market for bargain blooms. Top picks of the season will include celosias, cosmos, and gomphrenas. 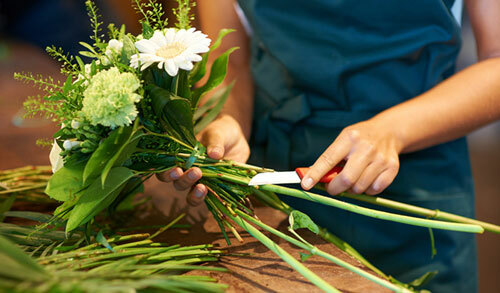 All are great for quick, beautiful bouquets. Make them last longer with conditioning: remove the leaves that fall below the water level in the container you choose, re-cut stems at an angle, and add a floral preservative to feed the flowers. Don't forget to change the water daily. Now for the fun part, choose a lovely glass vase, terracotta clay planter or odd shaped glazed pot to display the lovely flowers in. They all work great! Your pots can dry out quickly with the August heat. Water them regularly; daily watering may even be necessary. Hand-watering is efficient, allowing you to give plants just the right amount of water without waste - saving you money. Pots and plants both love and NEED water, so be vigilant! 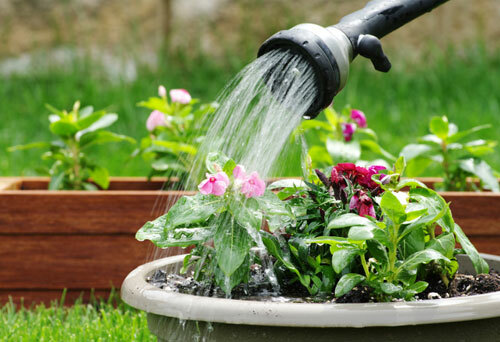 Make this process even more fun by using a brightly colored watering can or one of the new flexible hoses. Take a few deep breaths and enjoy the process. It's only a chore if you make it one! Keep a watchful eye on your potted vegetables, by checking it daily. 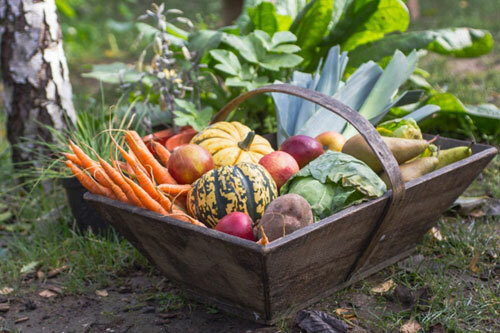 Harvest regularly to ensure a steady supply of tender veggies through the summer. Pick squash, zucchini, okra, and eggplant when they are small and tender. Use sharp clippers or a small knife to harvest to avoid tearing stems. Harvest peppers or potted tomatoes on the day you plan to use them. Bring a small pail to carry your harvest. Share extra with family, friends, and neighbors. There are lots of flowers that hummingbirds love. Salvias such as 'Black and Blue' anise scented sage, pineapple sage and 'Lady in Red' sage are favorites. 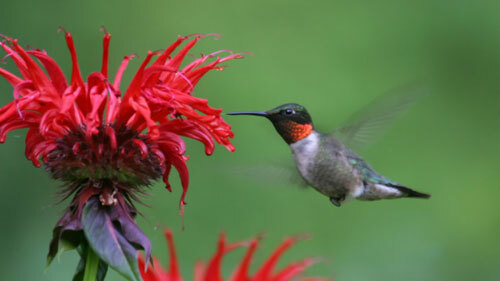 Pot them up in beautiful garden containers and you will attract more hummers than ever! Use bright red planters to aid in the attraction. Read more.....Planting a water garde using pots.